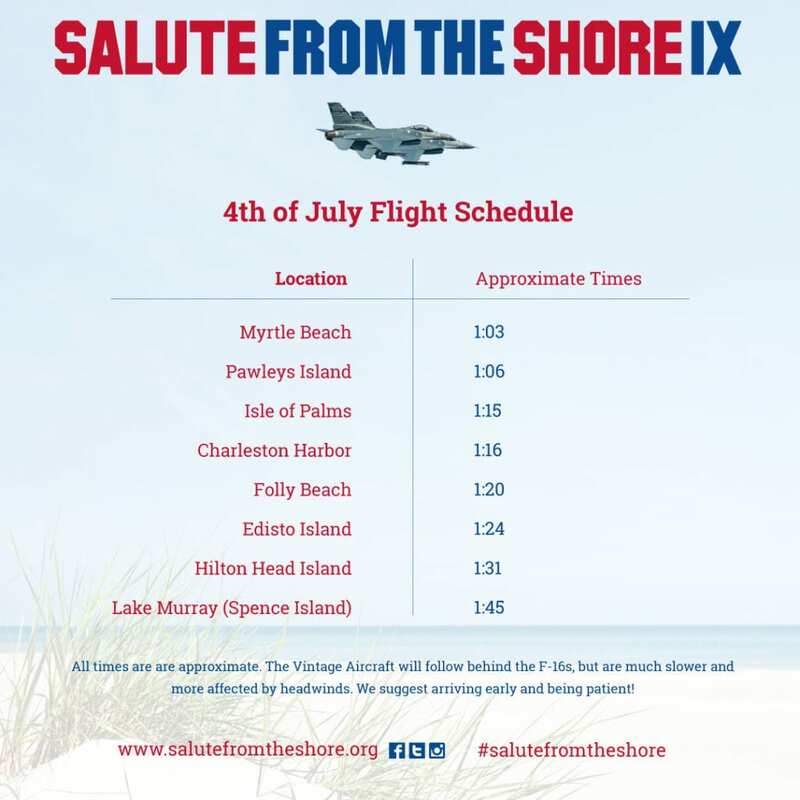 This year's Salute will include a flyover of F-16s from the 169th Fighter Wing at McEntire Joint National Guard Base, as well as a fleet of vintage military aircraft. 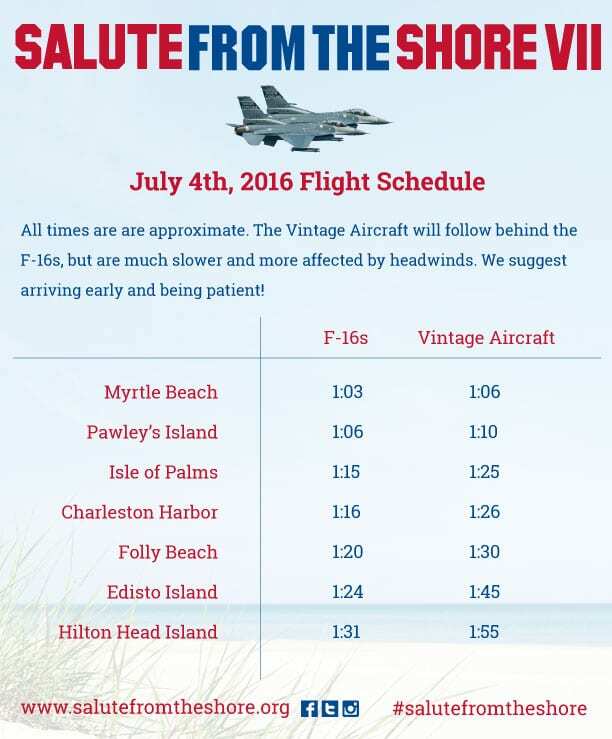 The flight will include a loop through Charleston Harbor and, for the first time ever, a Salute over Lake Murray! 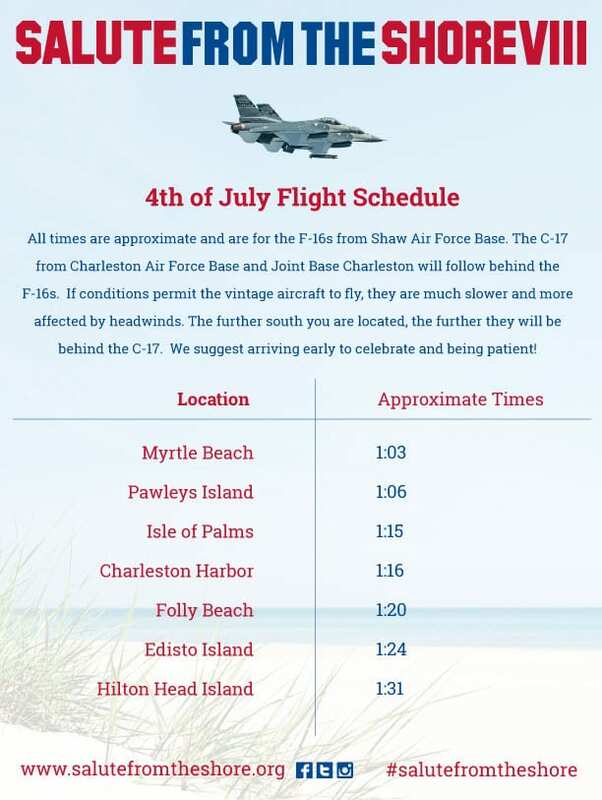 The jets will fly over Spence Island on Lake Murray around 1:45. 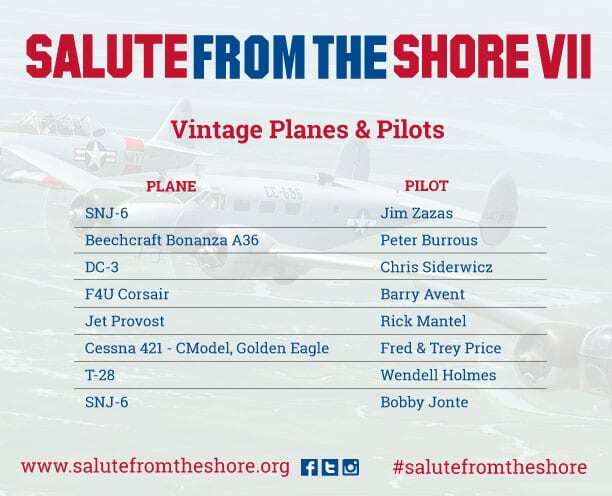 Salute from the Shore is a 4th of July tradition like no other! 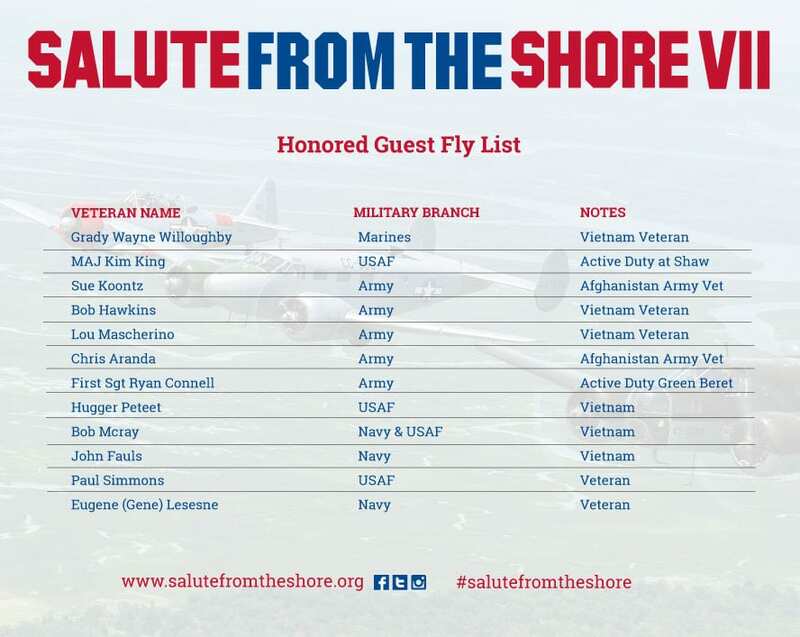 Thank you to everyone who participated in thanking our military at this year's Salute from the Shore. 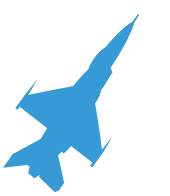 It was a day to remember! 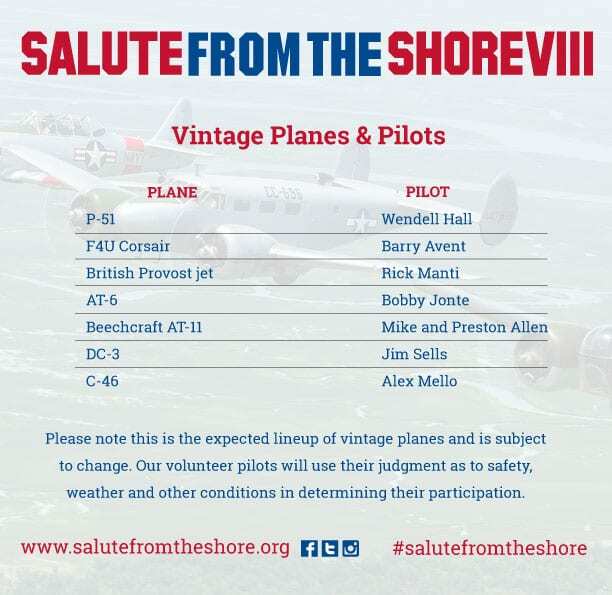 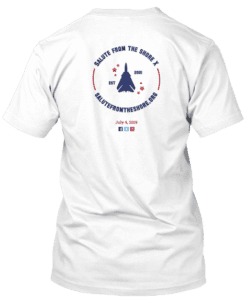 Don't forget to share your photos and videos and include #salutefromtheshore and #afflyover...Or you can email them to salute@salutefromtheshore.org.